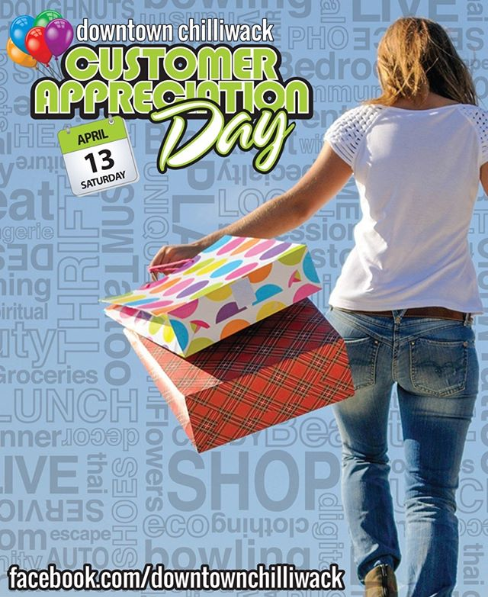 Chilliwack – This Saturday April 13, many of your favourite downtown businesses want to THANK YOU for your continued support. It’s the 2019 Spring BIA Customer Appreciation Day. Make a purchase in ANY participating store and be entered to win prizes from a variety of downtown businesses. Enjoy free samples, gifts with purchase, giveaways and more! Visit multiple stores for more chances to win! Buy 5 doughnuts, get one FREE! Vintage Market! Free Gift with Purchase, while supplies last! Buy one sandwich, get one HALF PRICE! Receive a $10 discount on your first visit! $5 Farmer’s Sausage & Top Sirloin Steaks BOGO 50% Off! Service. *Lesser value service is half price. APPRECIATION DAY, THEN VALID ONE MONTH. Why wait? Just book an appointment! In & out in 15 minutes! We accept cash, Interac, Mastercard & Visa! 25% off EVERYHING, except clothing, & FREE coffee! 10% off in-store purchases as well as our weekly specials! exotic pets, feed, supplies, and a friendly atmosphere! Gift card draw from 3-5pm & live music from 3-6pm! enjoy your night with a Twist! 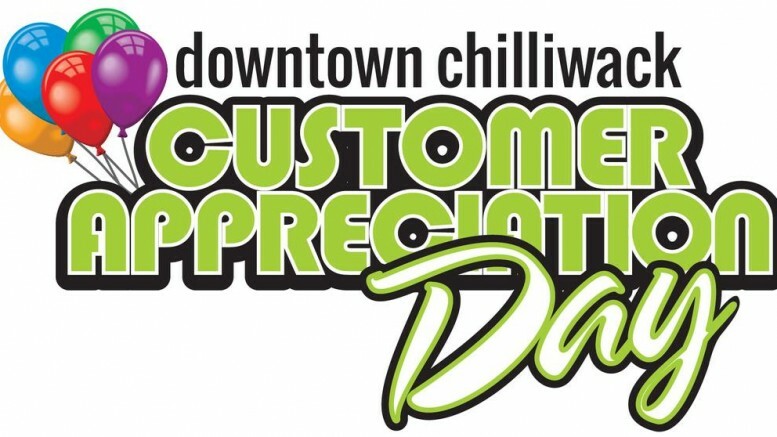 Be the first to comment on "Chilliwack BIA Customer Appreciation Day Saturday April 13"